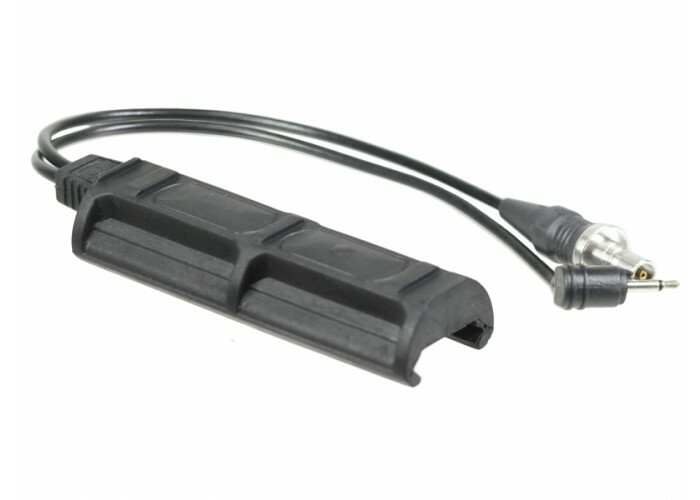 The Bravo Airsoft Remote Dual Tape Switch 2 Plug is designed for a Bravo-style flashlight. Equipping a pressure switch to your flashlight will allow you to turn the flashlight on without the need of pressing a button, it can also be used with a few laser models like the EX176 or EX 214 models. The Bravo Airsoft Remote Dual Tape Switch is compatible with most Bravo flashlights. It may work with other models, but can not be guaranteed by Airsoft GI.